The Storm’s game against Chicago featured an ownership-led initiative in support of the nonprofit that provides reproductive health care. 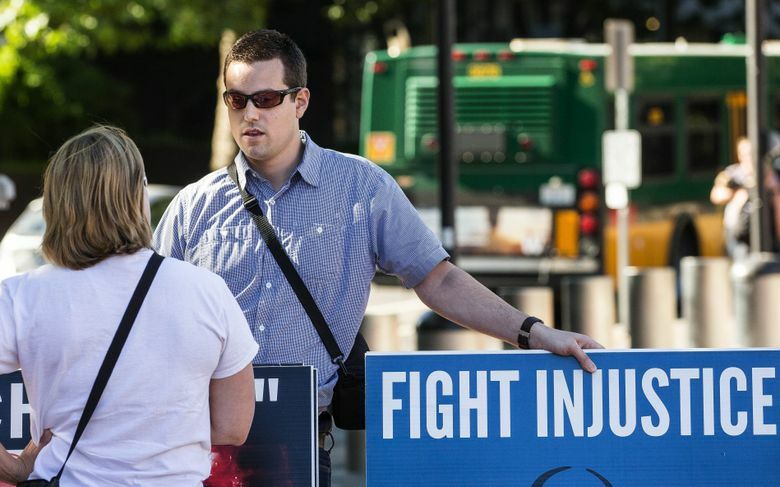 Behind the few hundred people supporting Planned Parenthood outside KeyArena, there were four protesters standing with graphic photos. 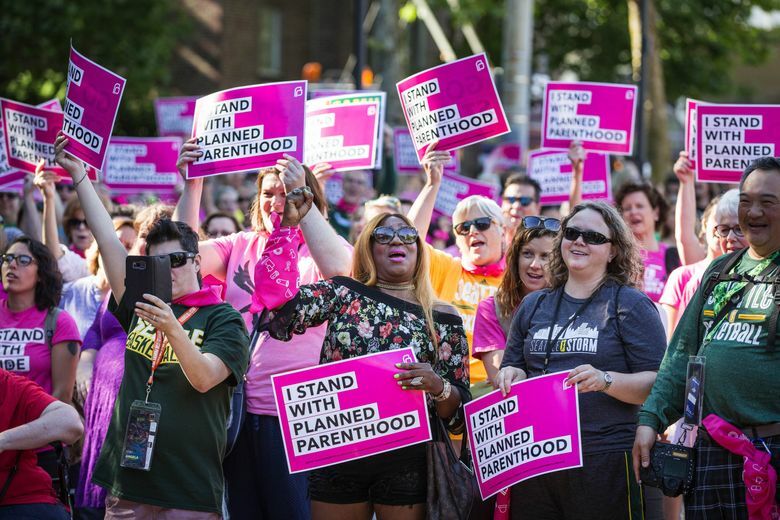 While the Seattle Storm’s players warmed up inside a quiet KeyArena, the area surrounding the building was crowded with members of the community who supported the team’s partnership with Planned Parenthood, and a few who opposed the rally. 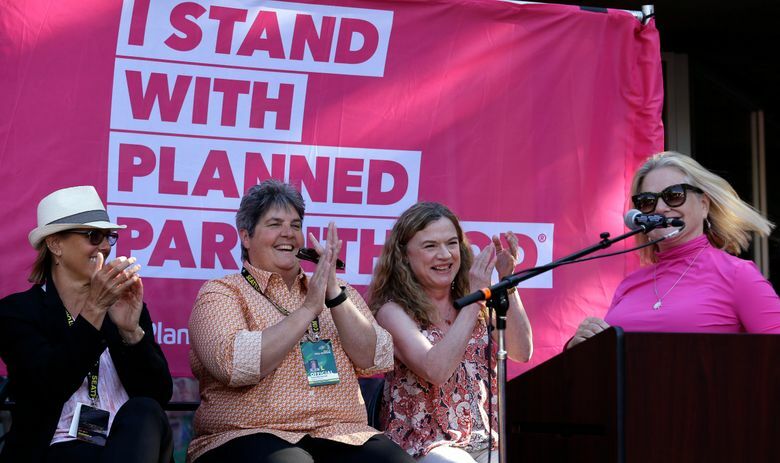 The Storm’s WNBA game against the Chicago Sky on Tuesday night featured an ownership-led initiative in support of the nonprofit that provides reproductive health care. 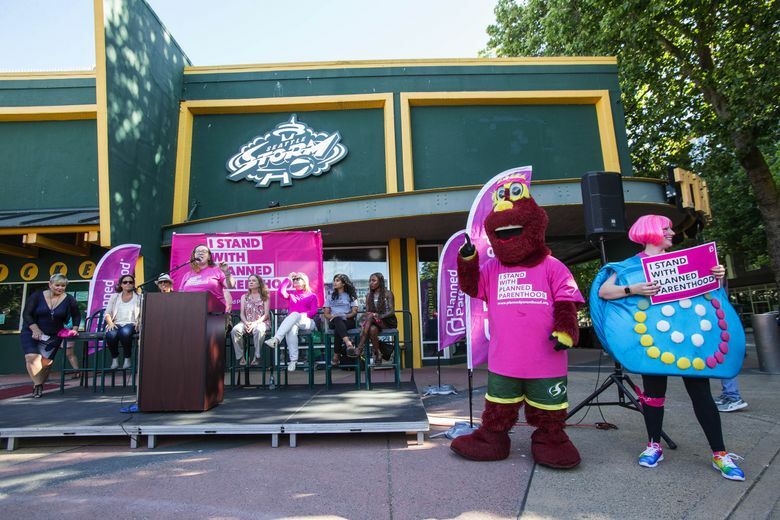 This marks the first time a sports franchise has partnered with Planned Parenthood, according to a spokesperson from the organization. In addition to an online auction, the Storm pledged to give $5 from each ticket sold to Planned Parenthood of the Great Northwest and the Hawaiian Islands (PPGNHI). The announced attendance Tuesday was 8,358, which equates to about a $42,000 donation from ticket sales. 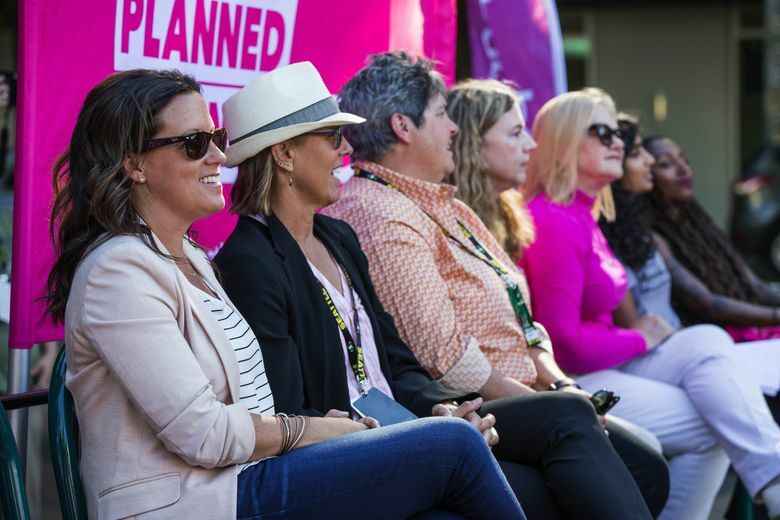 “No other sports team has been brave enough to do this, but the Seattle Storm is,” Christine Charbonneau, CEO of PPGNHI, said at the pregame rally on KeyArena’s West Plaza. 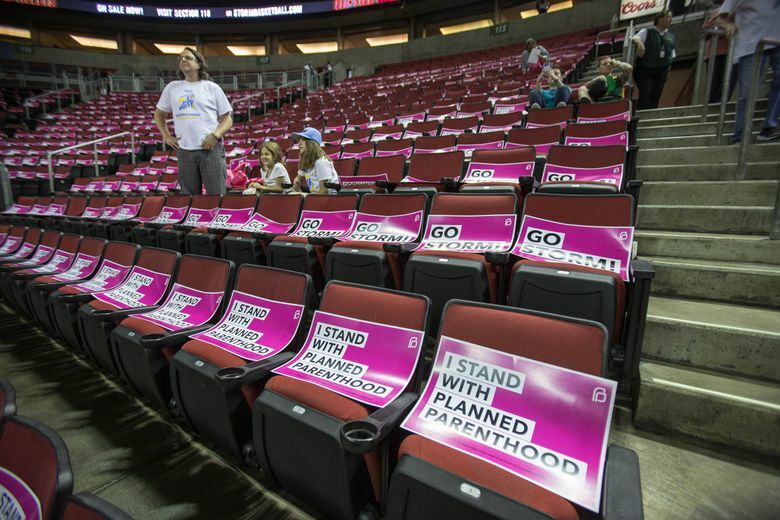 Signs that said, “I stand with Planned Parenthood” were waiting for spectators in nearly every seat inside KeyArena. During the game, an announcement about the Storm’s auction to raise money for Planned Parenthood was met with cheers from the crowd. Four Storm players — Sue Bird, Breanna Stewart, Noelle Quinn and Sami Whitcomb — were featured in a PSA the team released last week. Bird said she felt proud when the team’s owners decided to take this stance. “It’s for everyone, yes, but I think as a woman, you want to support one another and to be a part of that was something that was special,” Bird said. For Stewart, her motivation to speak out for social causes like this one comes from “realizing how many people you can reach with your voice,” she said. The Storm’s game against the Chicago Sky was the team’s only nationally televised home game of the year, which Storm co-owner Dawn Trudeau said was a factor in choosing a date for the event. Behind the few hundred people supporting Planned Parenthood outside KeyArena, there were four protesters standing with graphic photos. There didn’t appear to be any confrontation between the groups for and against Planned Parenthood. Another protester, Kathleene Daly of Suquamish, said she thinks sports should remain on neutral ground when it comes to issues such as this. The rally that supported Planned Parenthood lasted about 30 minutes before most of the supporters began to file into the game. Cathy Benson, who lives in Lake Stevens, was one of the founding members of a group called Jane’s Sidewalk Supporters for Choice. She and others stand in front of the Planned Parenthood facility in Everett to support the patients, employees and volunteers who are coming to the facility. The pregame rally attracted her to come to the Storm game. Benson said the Storm, a women’s sports team owned by women and led by a female coach, seemed like a natural for the first-of-its-kind partnership. And Stewart said the Storm’s efforts could help encourage other teams to follow suit.